Aaron Foley, a police officer on the rise, tries to escape from under the shadow of his father's legacy in Detroit by busting the rich and famous of Beverly Hills. Jack McCall: My name is Jack McCall. If you can hear me, what you're listening to is not the sound of my voice. It's the sound of my inner voice, the one inside my head. I'd like to talk to you, but I can't. Because if I say just one more sentence out loud... I'll die. Q: What song was used for the film's trailer? You will find reviews here using thousands of words in order to flame this movie, clearly they didn't understand it. You will know why after seeing it. People are disappointed because they wanted to see an Eddy Murphy style comedy, the problem is this ain't a comedy it is a drama with a very good message. I loved Eddy Murphy in his first movies, he was a fast talking joke machine, he still is but the jokes are the same and comedy has moved on. For that matter I didn't like the comedy portion of this movie too much but I was deeply touched by the drama version. The solution to his problem is right in front of him and anyone who is willing to give this movie a fair chance will see it too and exactly this is what made the movie so strong because he is doing it all wrong and you want to scream at the screen and tell him what to do and how to do it. 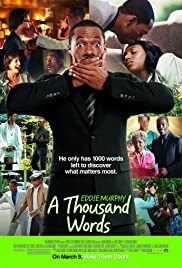 In my opinion Eddy Murphy gave a partially brilliant performance. 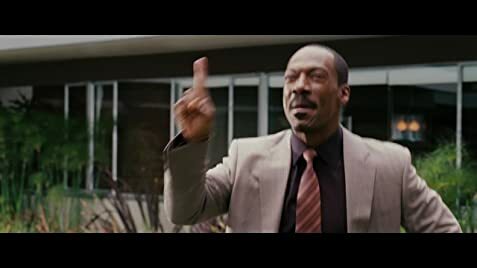 As I said I didn't enjoy the comedy too much, it was some sort of best of Eddy Murphy but when you are willing to accept that this is actually a drama and understand the comedy part as the metaphor that it is you will love this movie and maybe pull something valuable out of the message. For the concept of the message Eddy Murphy was the best possible actor for this role. 63 of 73 people found this review helpful. Was this review helpful to you?